There are unexpected moments you may probably encounter when upgrading your iPhone system, like the iPhone becomes brick and cannot boot with an iTunes symbol shown on the screen. What can you do when your iPhone update failed since we know that the situation of iPhone update failed is extremely plain. So, how to restore your iPhone if its software update failed? And if possible, how to choose a third-party software that is word of mouth to deal with the chaos quicker and safer? Upgrade your iPhone in the WiFi environment. Set off the cable accidentally when upgrading your iPhone with the computer. After knowing the problems and reasons why your iPhone software update failed, we can do something to make a settlement. And below are the solutions for restoring your iPhone to change it from software update failed to update succeeded. The easiest way is to wait for a few hours and try to update your iPhone again. Best remember to try this way because sometimes it really works well. And simply, I would like to introduce the steps to upgrade your iPhone via WiFi environment first and foremost. Open Settings of your iPhone. Connect WiFi and find General on your iPhone. The device would automatically check for update, or you could click the "Check for update" button. After that, click Install Now button. Then you just need to wait until the update completes. Also, if your iPhone software update failed via WiFi connection, you could turn to iTunes. 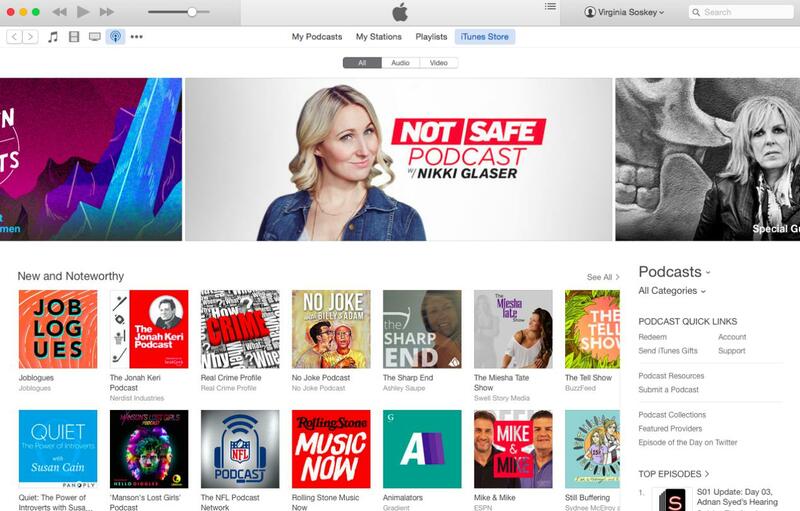 Apple has made iTunes an all-mighty tool to solve most of the problems you come across with iPhone. It is not difficult to do this with iTunes. The below steps would show you how to upgrade iPhone software via iTunes when your iPhone update failed. Connect your iPhone with the computer, then open your iTunes. In normal situation it would prompts a new window of detecting an iPhone device in recovery mode. Please click the Restore iPhone button in the iTunes window. Then you will be hinted that all the data of your iPhone will be erased by the clicking of your mouse finger. Due to that the current system has collapsed, so, you could only click the button of Restore and Update to continue. Please wait for the connection between iTunes and Apple server and the automatic firmware downloading that is needed for the recovery of the iPhone system. When it is completed, it will continue to restore system automatically and restart up, get ting into the interface of activation, just follow the indications. Sometimes when your iPhone software update failed, all the data on your iPhone might get lost. In case of data loss, you need to back up your iPhone data before you upgrade iPhone software. So that even when your iPhone update failed, you could still get iPhone data and file back. Here we would like to introduce you an effective solution to restore iPhone data after iPhone upgrade with the help of Leawo iOS Data Recovery, a professional iOS data recovery software program that could recover data and file from iPad, iPhone and iPod due to mistaken deletion, jailbreak, etc. a. 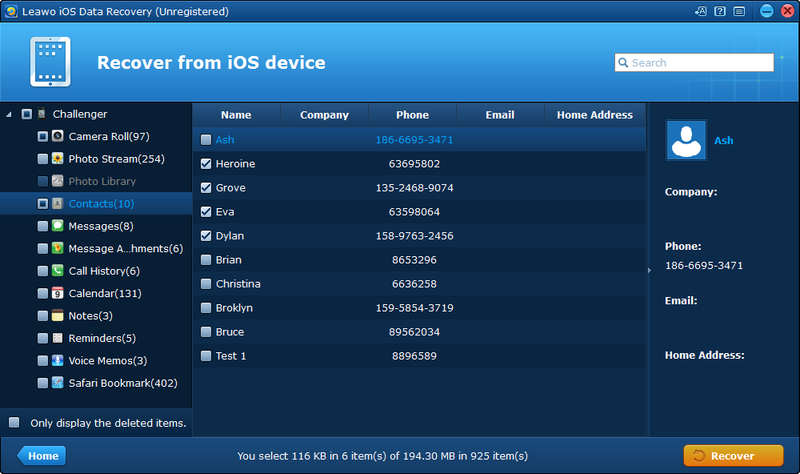 Restore files directly from the iOS device by choosing Recover from iOS Device. Click Start Scanning and wait for the analyze and scan. b. Restore files from iTunes by clicking Recover from iTunes Backup. Click Start Scanning and follow the indication. 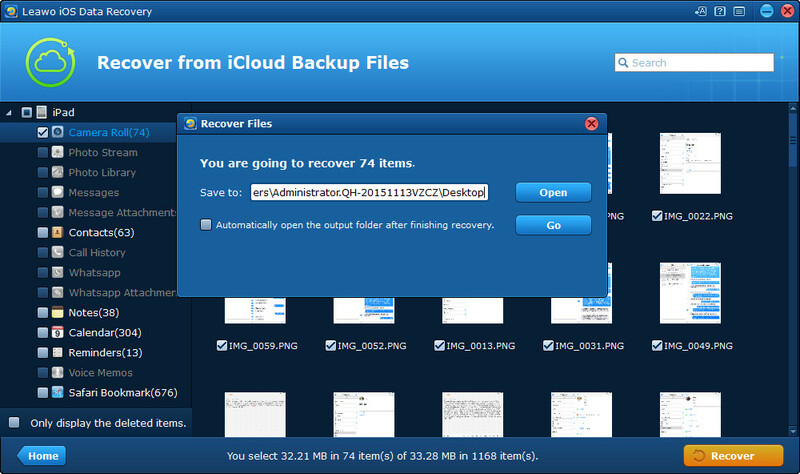 c. Restore files from iCloud by clicking Recover from iCloud Backup. Open and log in iCloud. 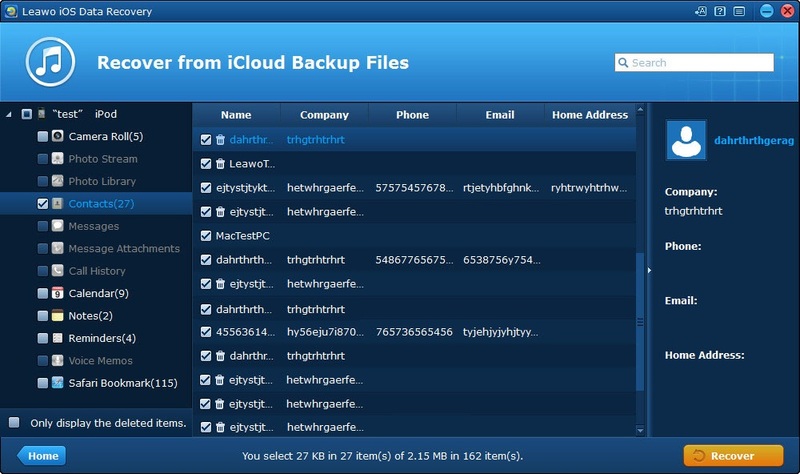 The historic records of backup through iCloud server will be listed above. Select the record that needs to be restored, click Download in State, choose the items and start to download. After completion, start to scan. Step 2: Data recovery. Available items and contents will be listed after the scanning, select the contents needed to be restored and click Recovery. After that data will be restored on to the device or computer. Leawo iOS Data Recovery is a sort of iOS data recovery software which can restore the photos,SMS, contacts, video files that are missing or deleted unintentionally. Leawo iOS Data Recovery is reliable and responsive for iPhone users to seek for help when their iPhone software update failed. Though it was in the last, but it was not the least. Actually it is recommended to solve the trouble of iPhone update failed with Leawo iOS Data Recovery. As we know that each type of cell phone is updating now and then, iPhone is with no exception. New system is faster and more convenient than old system. So everyone of us can not avoid of upgrading cell phones. However, when your iPhone software update failed, you should know how to solve the problems right at time. Or else your iPhone would crush and becomes useless. 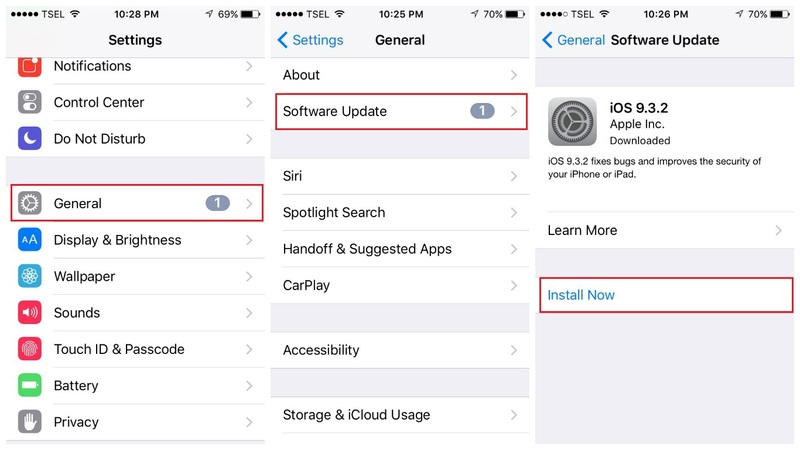 Above are the two solutions for the situation of iPhone software update failed, just follow the above steps on coping with iPhone software update failed issue, your iPhone will be updated normally again and there is no trouble in working.